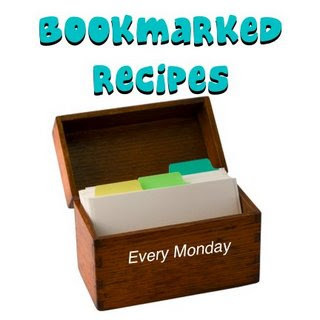 On Monday, March 9, I will be hosting the weekly Bookmarked Recipes blogging event on behalf of Ruth from Ruth's Kitchen Experiments. Bookmarked Recipes is a blogging event where anyone from anywhere can blog about a recipe they had bookmarked from a cook book, food magazine, food blog, food website, from TV etc, make it and submit it to a weekly roundup, done every Monday. Every Monday a round up of all the entries will be posted for everyone to see and share and maybe even try for themselves! Ruth and I (along with the food blog community) look forward to what you've bookmarked lately! This looks wonderful and similar to an event I am going to start myself from one book.